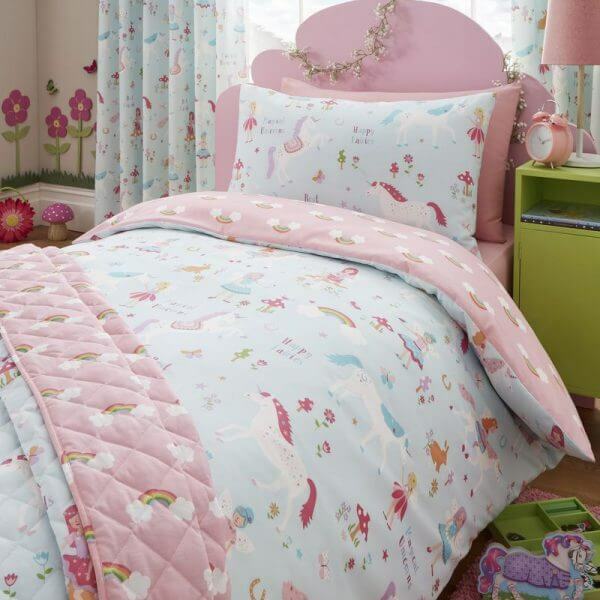 Unicorns do exist will this magical bed set. Reversible side. 50% Polyester 50% Cotton, Wash at 40 degrees, Machine Washable. 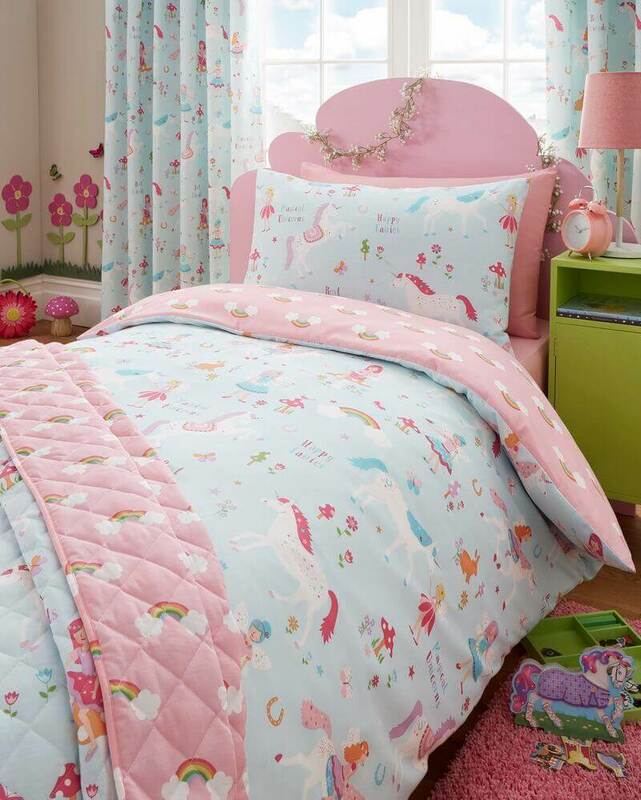 Set Includes Duvet Cover an 1 Pillowcase. Throw and Curtains also available.